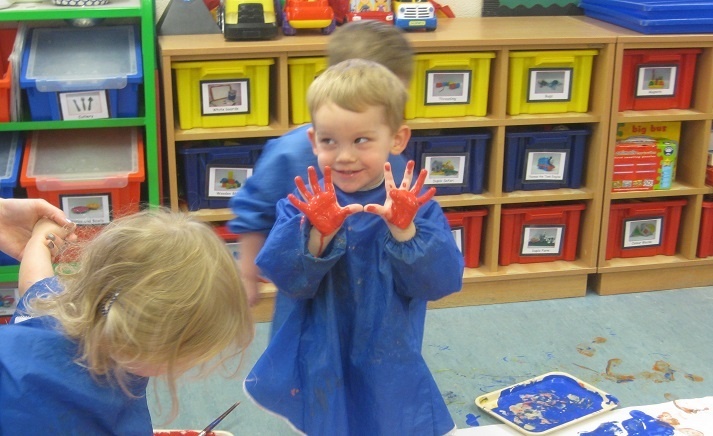 The bouncy bears had lots of fun using their hands, feet and brushes to make marks with paint on paper. They talked about the different colours they used and loved mixing paint to make new colours. They also had fun talking about the texture and feel of the paint on their feet and toes! After the activity, we all got cleaned up and enjoyed making ourselves clean after all the fun!